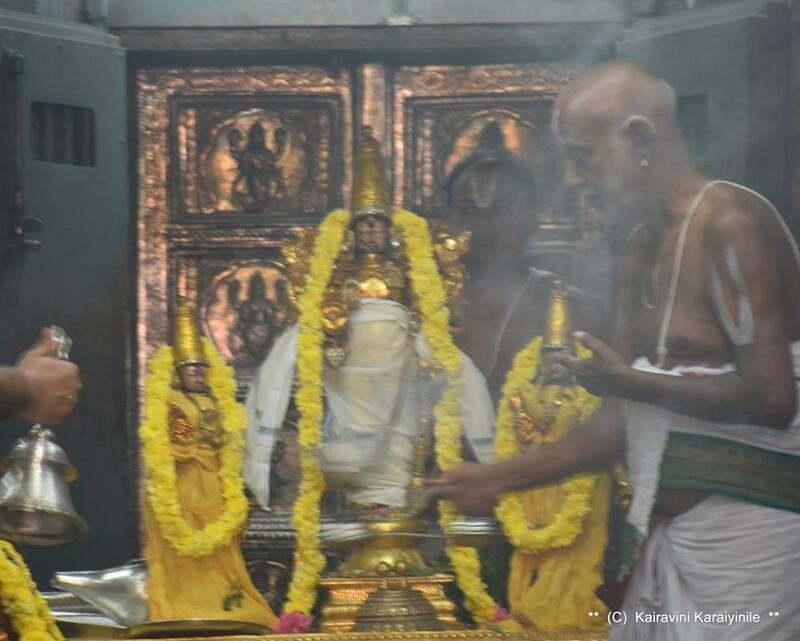 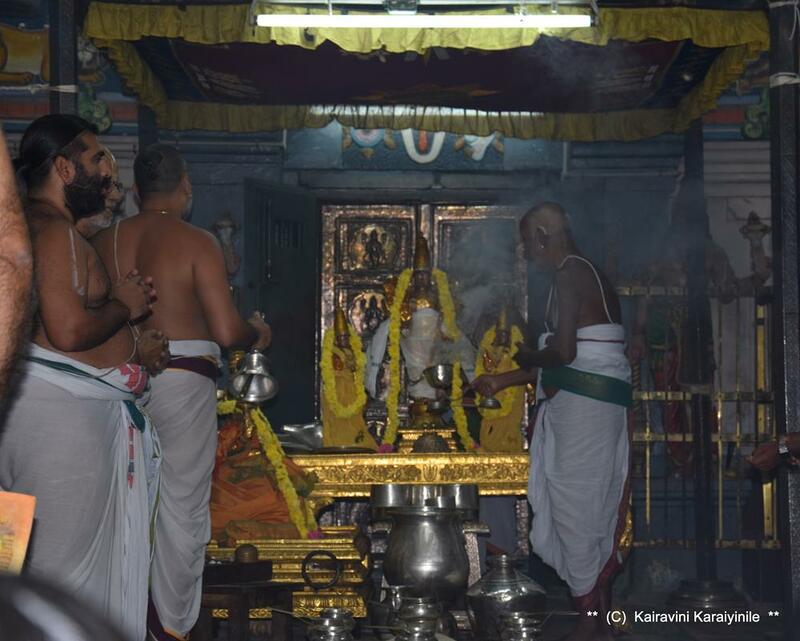 From 27th of May 2018 ~ it is Brahmothsavam at Thirukachi divyadesam for Sri Devathi Rajar. 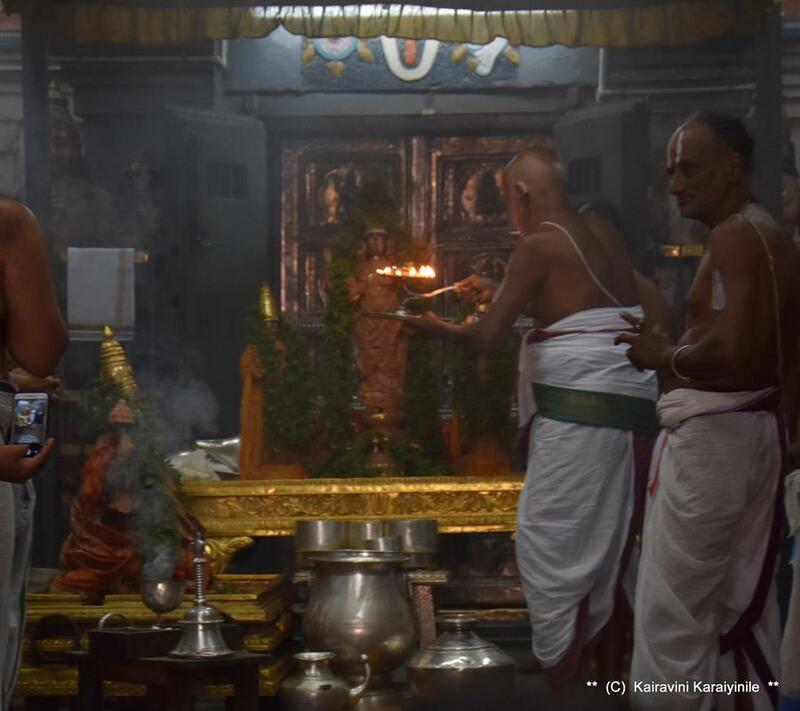 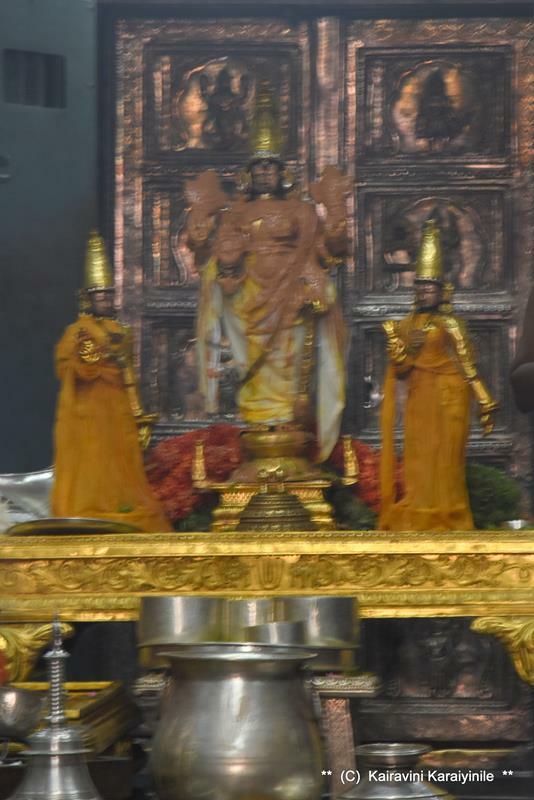 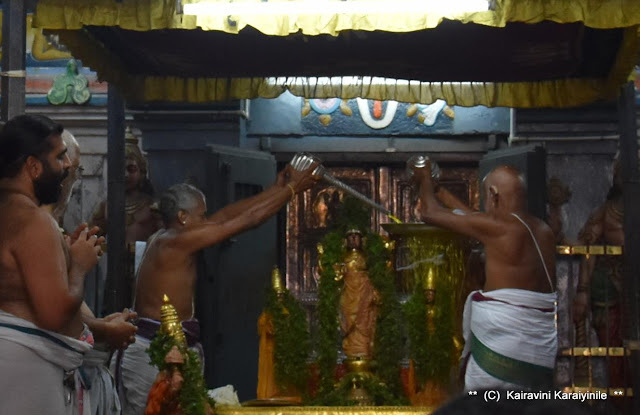 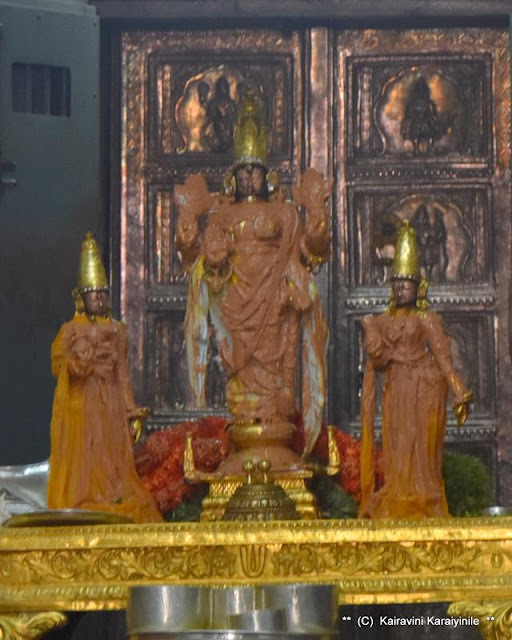 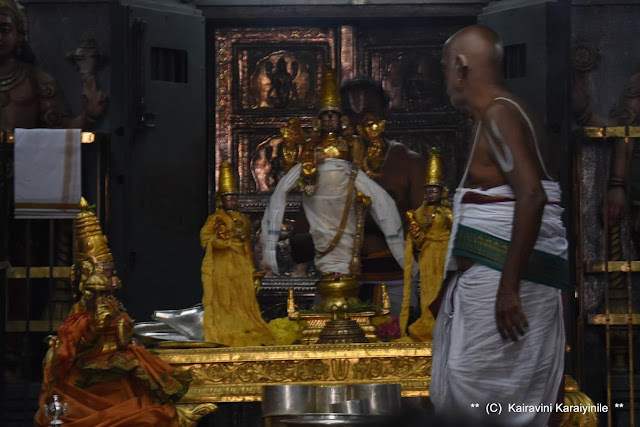 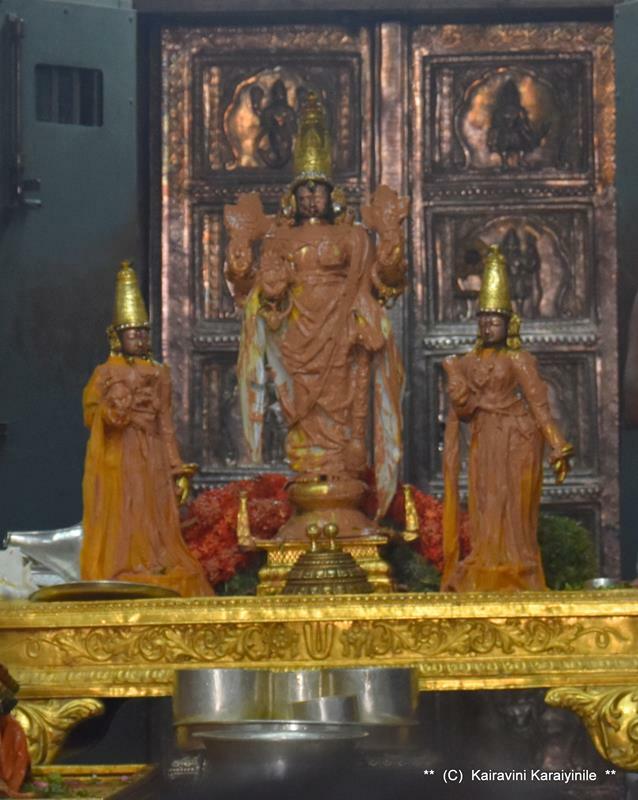 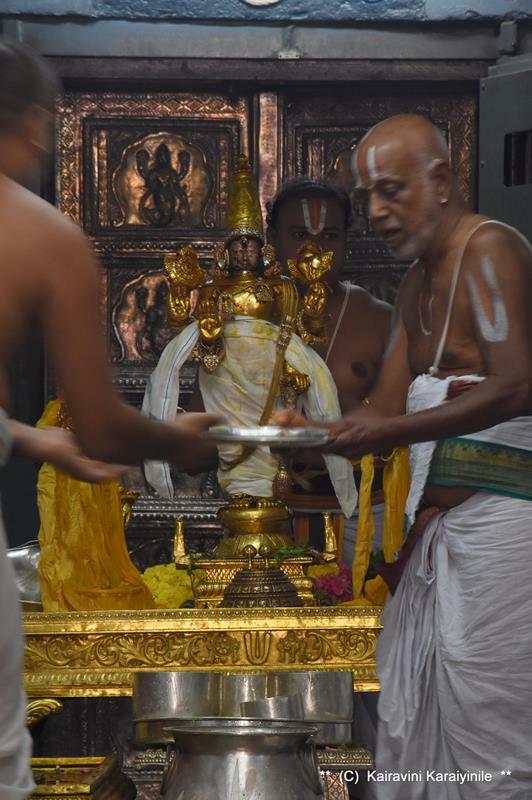 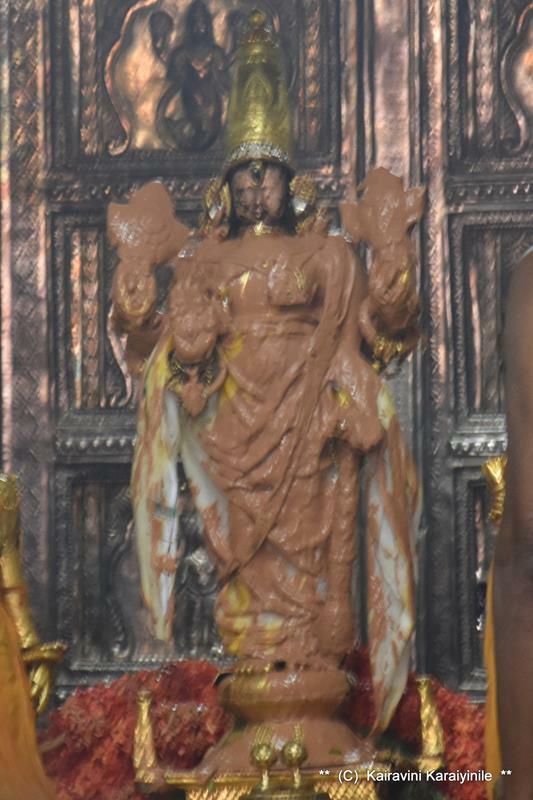 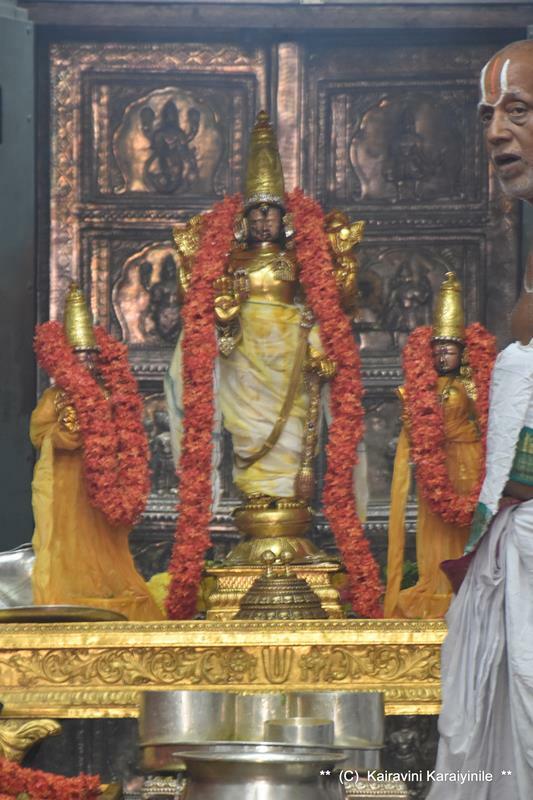 On Tuesday, 29th it is the famed Garuda Sevai and on 2nd June is Thiruther – tens of thousands of devotees would descend at kanchipuram to have darshan of the brahmothsavam initiated by Brahma himself. 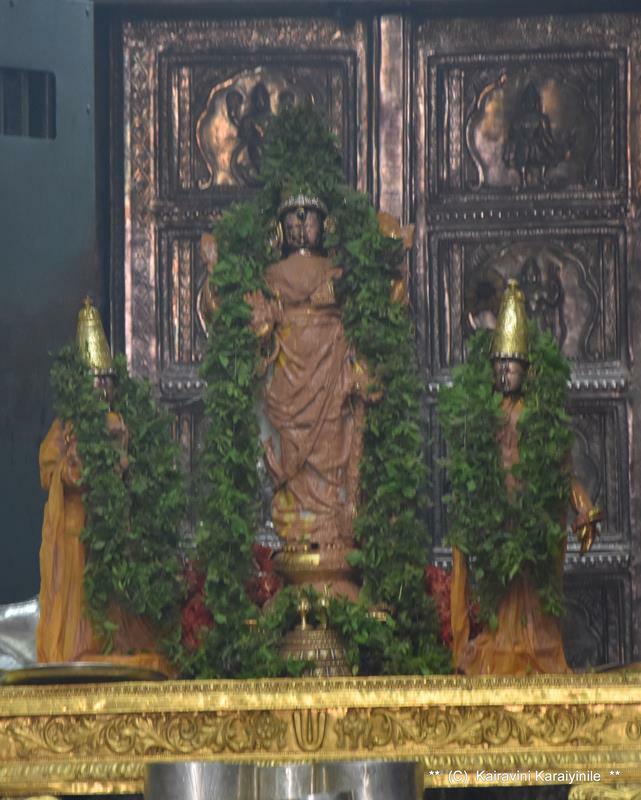 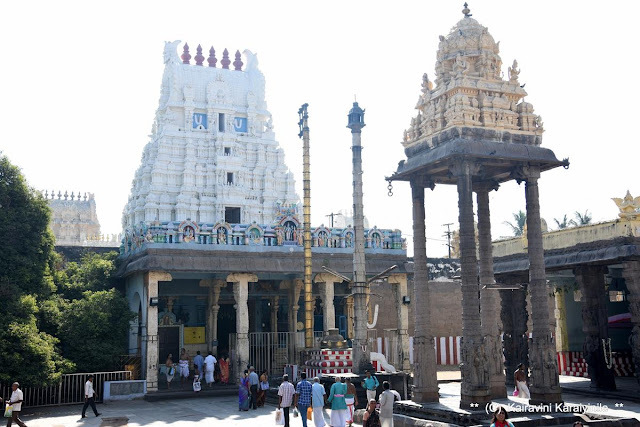 The area where Sri Varadharaja Perumal temple is located is now known as Vishnu Kanchi. 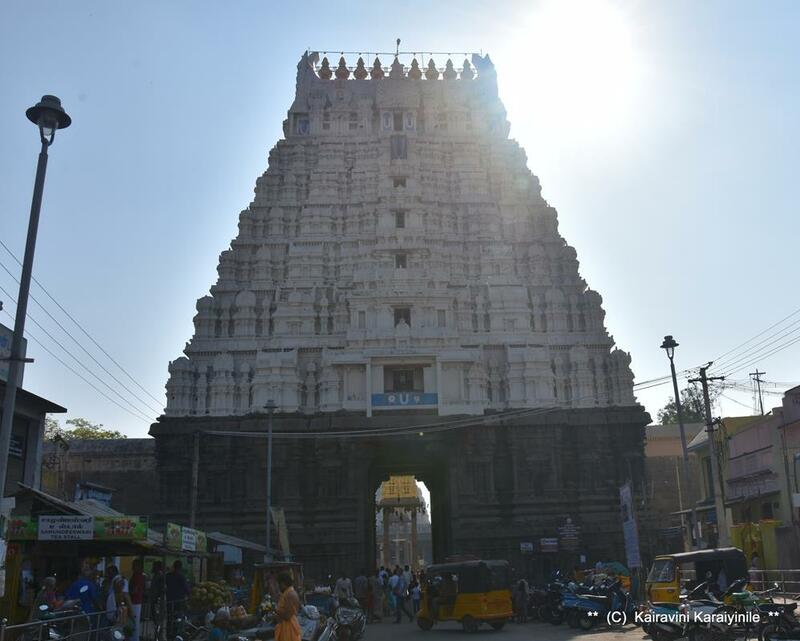 Kanchi has a rich history and was associated with the Pallava dynasty as the Pallava rulers ruled the Thondai mandalam for long. 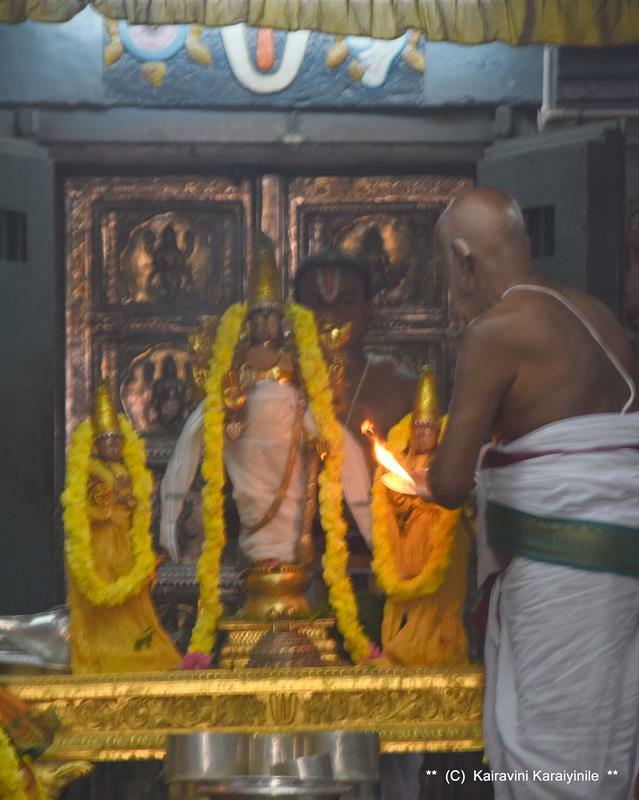 Here are some photos of Sri Varadharajar thirumanjanam on 4.3.2018.